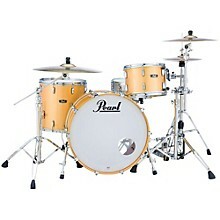 The return of Pearl wood fiberglass acoustic drums. 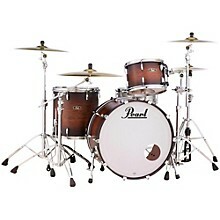 Having pioneered the fusion of fiberglass material to wood drum shells in the late 60', Pearl will be offering Wood Fiberglass Series drums in limited production in 2015. True to tonal legacy set of their innovative forefathers, the wood/fiberglass drums feature 7-ply Kapur-blended shell with an inner layer of hand-applied fiberglass that is lacquered through a painstakingly precise process. To further sculpt the tone of these unique drums, a sharp 45-degree edge is cut on the toms of each kit, while the bass drums feature a fully-rounded bearing edge. This brings focus to the Kapur wood' darker tonal qualities and accentuates the sonic cut of fiberglass; delivering a unique combination of warmth, projection, and focused decay. 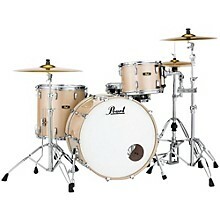 Wood Fiberglass toms include the Opti-Mount suspension system to remove undue shell pressure and increase sustain. 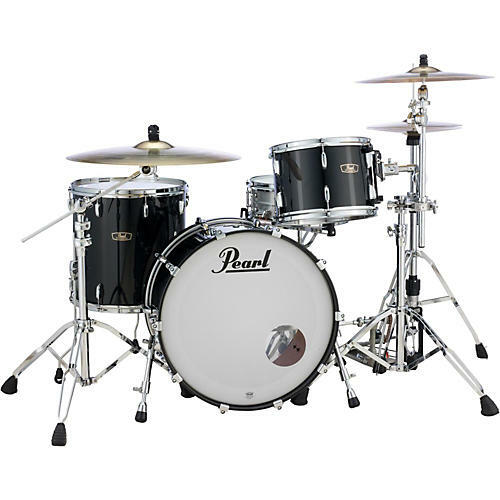 The toms are also fitted with SuperHoops II triple-flange counterhoops for durability and cutting rimshots, while RL10/20 Session-style low-mass lugs and telescoping bass spurs will provide tuning accuracy and a stable low end, respectively. Return to a brave world of tone. Order today.